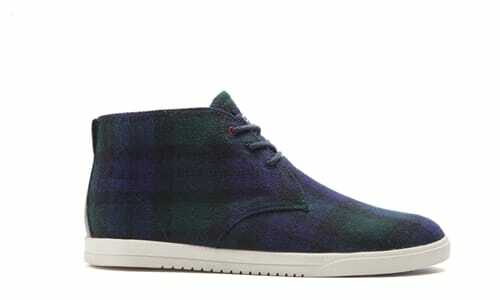 Kicks of the Day: CLAE Strayhorn "Deep Navy/Blackwatch"
CLAE goes with a fall-proper flannel look on this new drop of its Strayhorn model. The mid-cut makeup showcases Navy and green coloration throughout the upper with a contrasting white midsole sitting underneath. Top red eyelets complement the blue and green drape, as you can grab these today through CLAE online for $100.